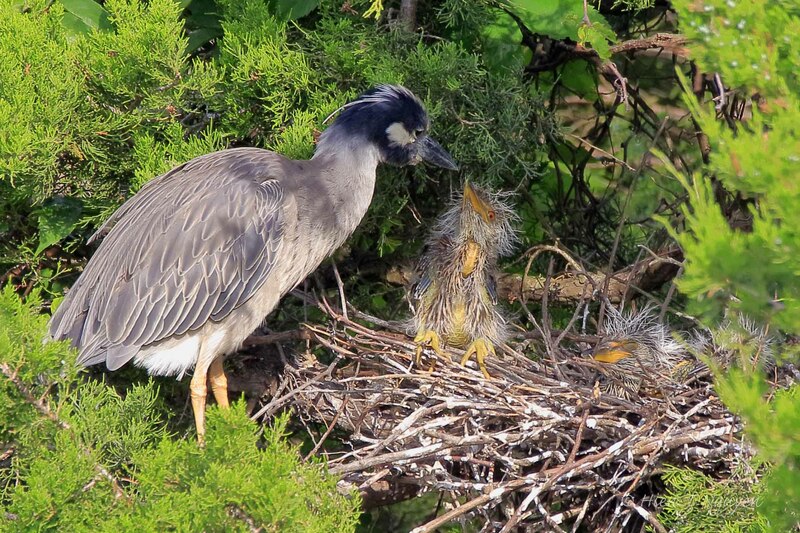 The Night Heron hatchlings from last week are now wide awake, clamoring for attention and food. You can see them in the following photos and the two short videos at the end of this post. 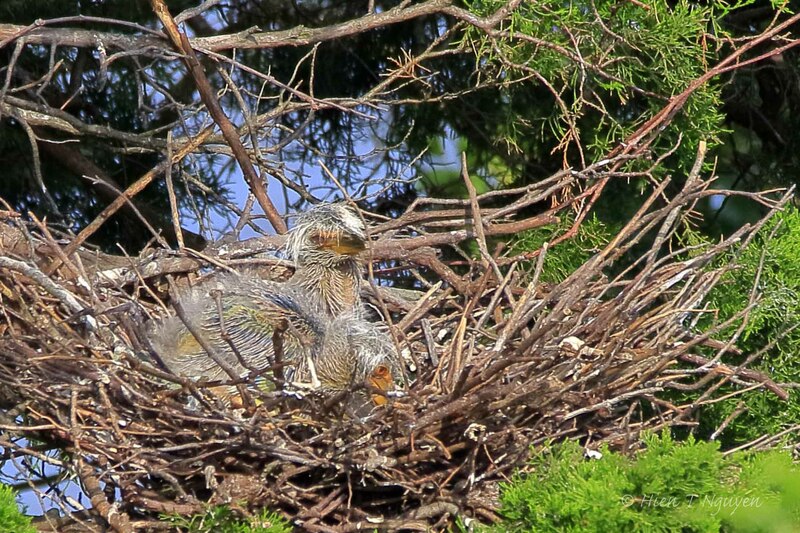 One Yellow-crowned Night Heron nest still had a few more eggs to hatch. I finally located a Black-crowned Night Heron nest. 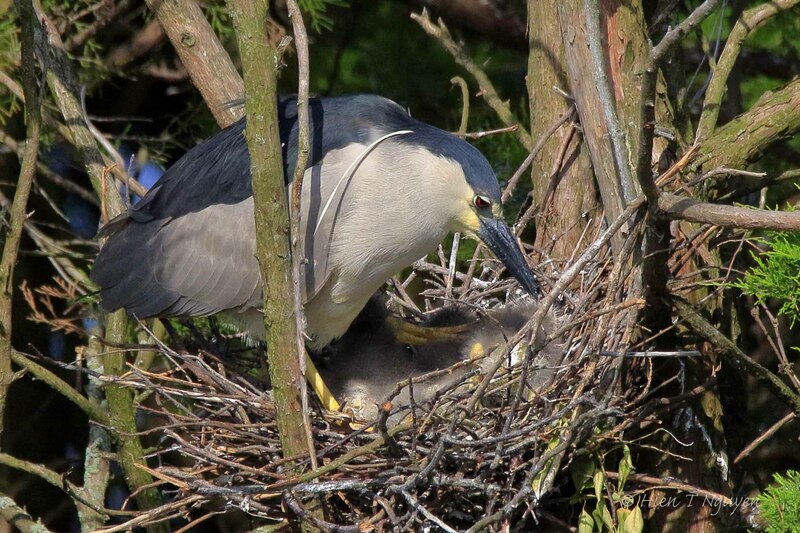 Black-crowned Night Heron and hatchlings. The video is right below. 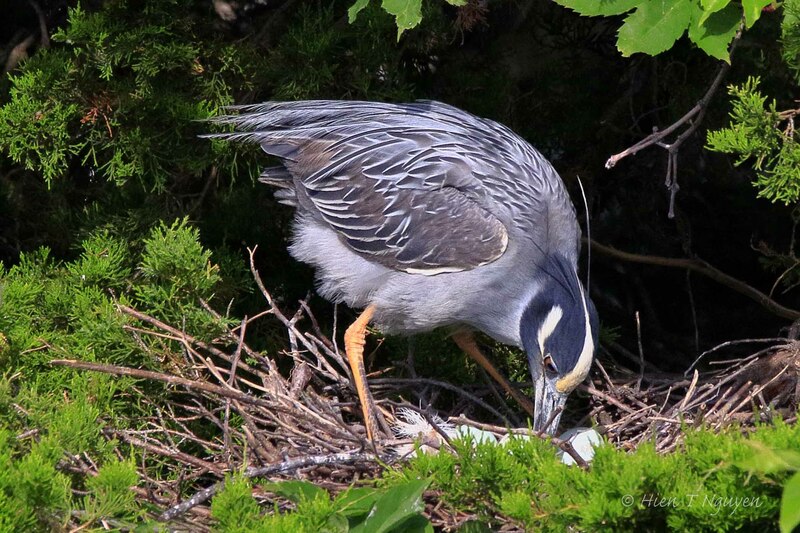 The following video shows activities at a Yellow-crowned Night Heron nest. Wow, I likes these! The little ones are fuzzy little devils, Great work! Have really enjoyed the yellow and black-crowned heron posts, both photos and videos! Lovely! I really enjoyed the photos and videos!! That’s great! Thank you Tiny. Love this, you are lucky to witness this and even record it. Thank you! I am lucky indeed to have a good viewpoint to photograph the rookery. Babies are always so cute! I agree with the others, great photos and videos of the herons! Sometimes there may be 5 or 6 hatchlings in a nest. That’s why the parents keep adding more branches. The babies are so ugly that their cute. The nests are huge, kind of gives you an idea of what the place looked like in prehistoric times. Wonderful images and video. Thank you Beth! The nests are big, but these are big birds, each about 2ft tall. Superb captures of a beautiful bird and setting. Glad you like them, Doda! Thank you!